At first glance, The Urban Dentist might be associated with a modern bar, but it is to all effects a dentist office. Designed by Studio Karhard, the same studio that has created the famous Berghain nightclub. 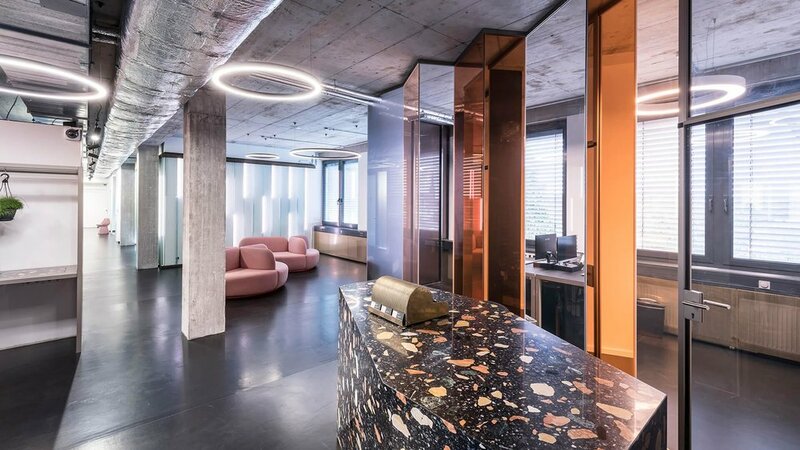 The founders Thomas Karsten and Alexandra Erhard aimed at designing a space that looked unconventional, but at the same time make patients feel comfortable. To obtain this agreeable place they opted for a baby pink color, lighted walls and mirrored divisions.